Hey all! 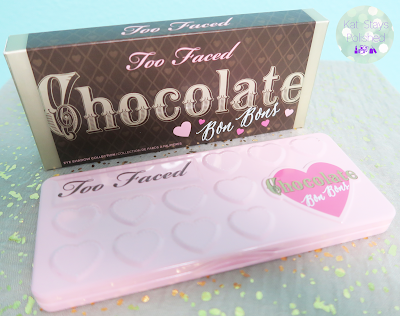 Today I finally have the Too Faced Chocolate Bon Bons palette for you! I have been DYING for this palette and it's finally mine! Thankfully, I got a nice 15% off discount when I got this. Ya for saving money! My favorite thing about this palette is the heart-shaped pans for most of the shadows. I love the pops of color along with their neutral shades. I don't mind neutral shades because I tend to go for those more often anyway. Every once in a while I'll go for the purples or the pinks to add to my look. 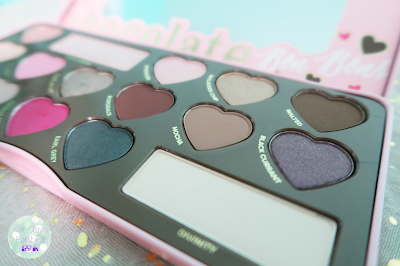 I also love the chocolate smell of this palette. 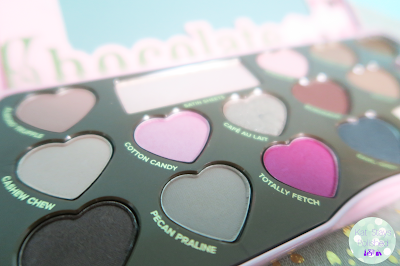 Like the previous palettes in this series, they have this wonderful cocoa aroma. It's honestly a great way to keep me coming back to it. Here are a few quick swatches for you. All are on my bare arm, no primers underneath. The left side of the palette and first set of swatches are more light shades and natural, day-time colors. 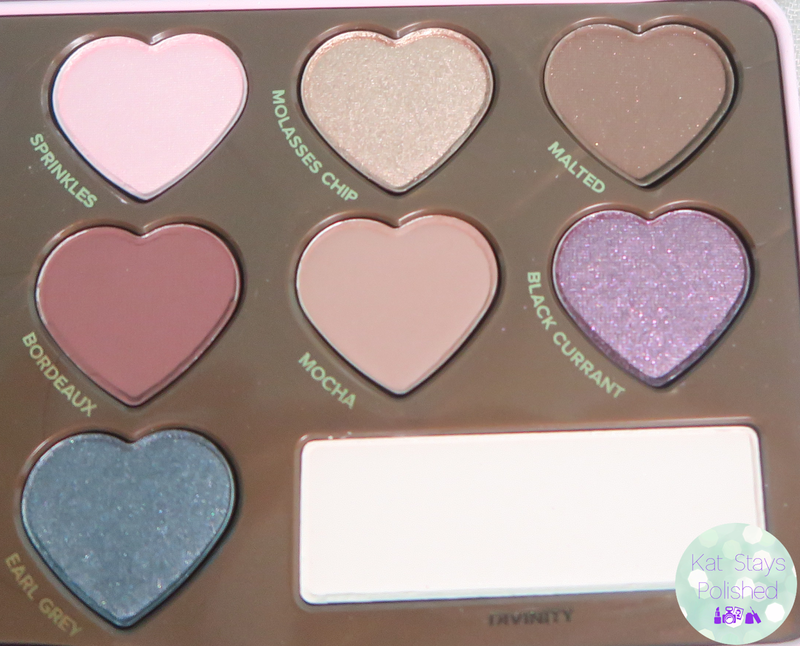 The right side of the palette looks to be smokier and gives you more options for an evening look. I love them all and I'm so happy I finally took the dive! I'm sure a lot of you must have this already but if not, I seriously want you to go out and get it. 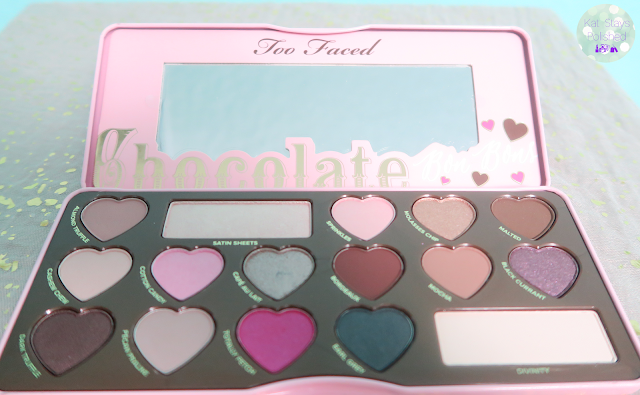 I am never disappointed with Too Faced - not yet anyway, and their shadows always perform outstanding. I got mine from Sephora but you can find it at HSN and Macy's too. The packaging on this is so cute! I really, really want this palette! Those swatches are gorgeous! I keep thinking about adding this one to the collection. 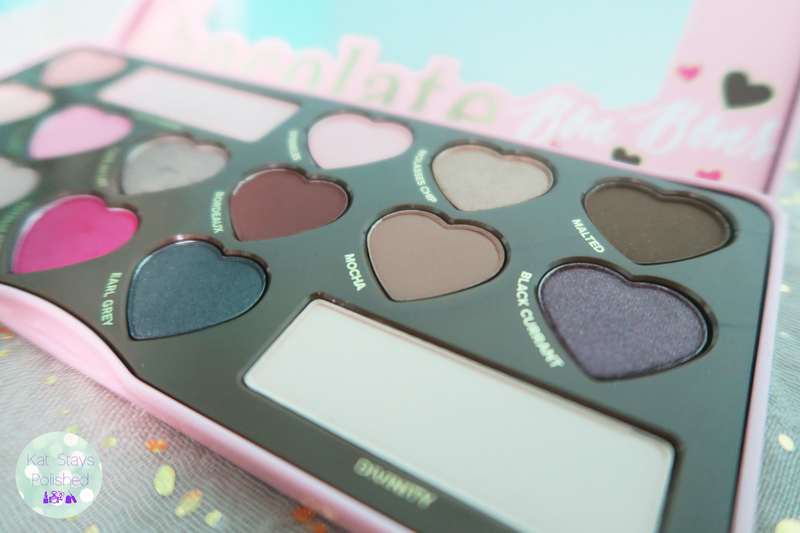 This is such a great palette! I love the purples and pinks! It's funny, I didn't realize how well the colors in the palette were split until I saw your photos. It definitely makes more sense that half of the palette has lighter shades and the other half has deeper/smokier shades. I had to buy this for the hearts. A few shades are too shimmery for me but they are still so pretty. This is my favorite of the 3! 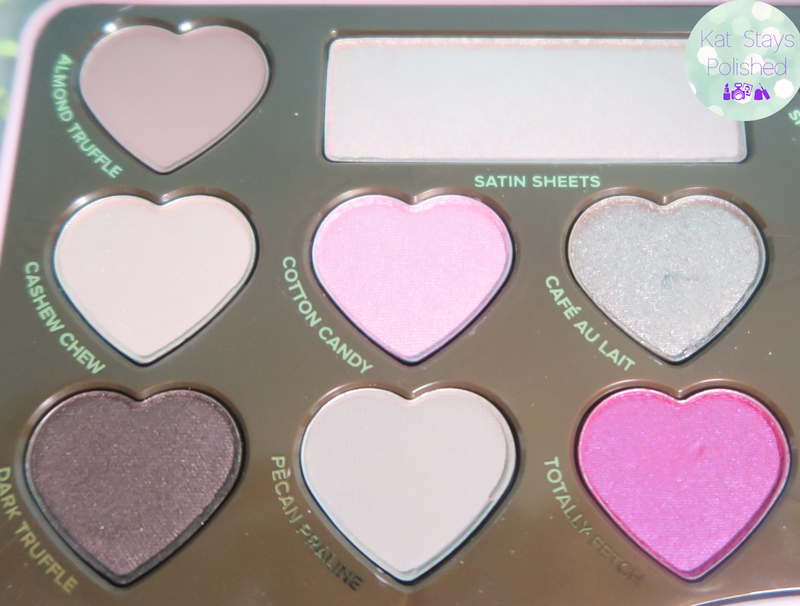 I love this palette - I didn't think I would but now I cannot do without it. I've heard such great things about this palette. The heart-shaped pans have kinda kept me from giving it a serious look, but maybe I'll find it on sale like you did. I think Too Faced has the cutest makeup packaging!